The Pentagon has extended the U.S. military’s support mission along the southwestern border through the end of September. Acting Defense Secretary Pat Shanahan also approved a request from the Department of Homeland Security that officials have said will place 116 miles of concertina wire between ports of entry along the border. 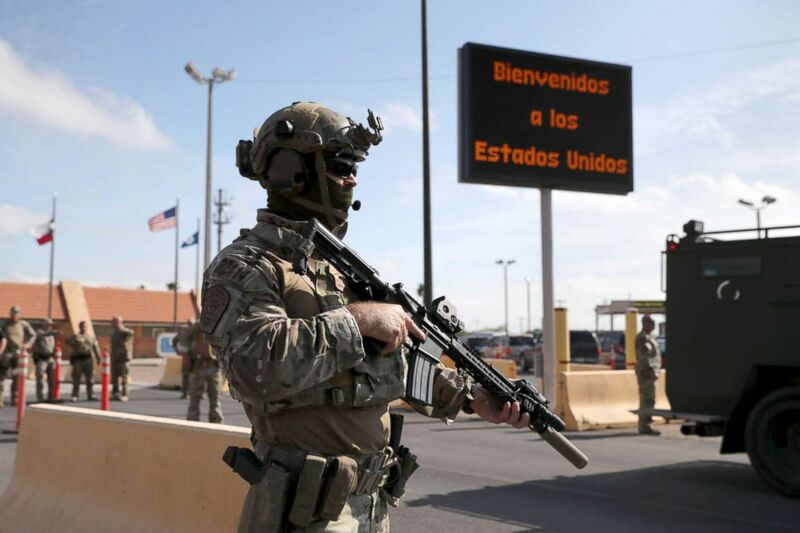 U.S. Customs and Border Protection agents take part in a training exercise at the U.S.-Mexico border, Nov. 5, 2018, in Hidalgo, Texas. “In response to the December 27, 2018 request from the Department of Homeland Security (DHS), Acting Secretary of Defense Pat Shanahan approved Department of Defense assistance to DHS through Sept. 30, 2019,” said a Pentagon statement issued late Monday. The original 45-day border support mission approved by then-Defense Secretary James Mattis last fall was supposed to end on Dec. 15 ahead of the arrival of migrant caravans from Central America. U.S. Military stand in line for a drill near the Otay Mesa Port of Entry, Calif., on Nov. 15, 2018. 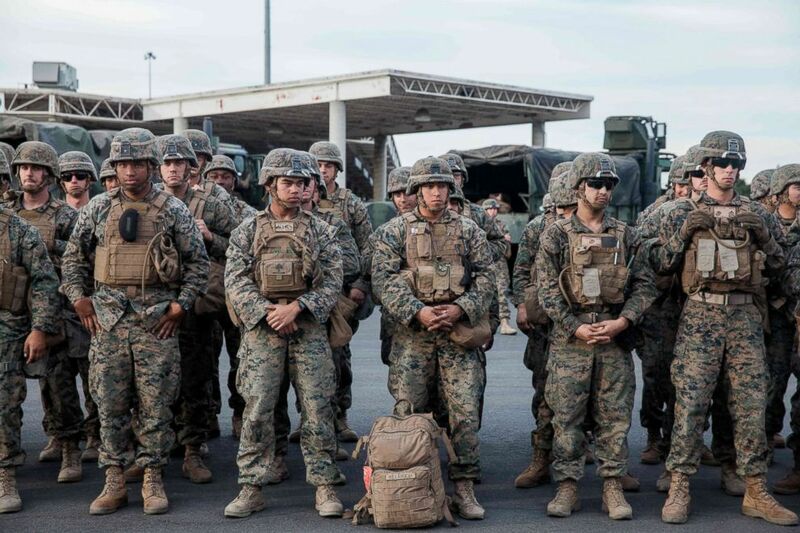 Mattis later extended the original mission through the end of January, as migrants in caravans arrived in Tijuana, Mexico seeking to make asylum requests at ports of entry south of San Diego. At its height as many as 5,900 active duty troops were sent to the border to “harden” ports of entry by placing security barriers and concertina wire. The mission also included aviation units to transport Customs and Border Protection agents along the border and military police units to provide them protection. Since then, the number of troops has been reduced to 2,350 after engineering units finished those duties and were sent home. Defense officials have said that those numbers could temporarily increase as additional troops would be needed to put up the 116 miles of requested concertina wire. Officials have said the wire would be placed along existing structures already along the border. This mission is different from President Donald Trump‘s plans to build a border wall. Trump’s standoff with Democrats in Congress to fund the construction of the wall has resulted in an ongoing partial shutdown of the federal government. News of the extension and the concertina wire mission comes as a new migrant caravan is slated to depart Honduras and head to the border with Mexico this week.